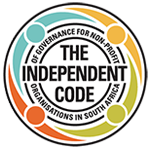 In the Striking the Rights Chord chapter: “Spreading Advancement Responsibilities” (Judge and Jones: 2012, p. 57), key learnings are highlighted as criteria that can be used for fundraising activities, and most importantly to ensure that the funders who are approached have values that are aligned to the organisation’s mission and vision. Does the call for proposals fit within the strategic plans? This question guides organisations in determining whether potential funders’ priorities are aligned with the areas of programmatic work. What is the time period for the funding? While perusing a call for proposals the staff member needs to familiarise himself/herself with the potential donor’s funding time frames and funding cycle. What percentage of the project budget would the grant cover? This entails identifying the proportion of the total project cost that might be acquired through the grant. What is the level of complexity of the grant application and administration procedures, and what are the implications for the organisation? This includes becoming acquainted with the reporting systems of the potential donor, and whether the grant is worthwhile relative to the burden of administering it. What is the future sustainability of the project beyond the proposed funding period? This requires the organisation to assess the viability of the project in the immediate, medium and long terms. Is there a value fit between the donor and the organisation? This is linked closely to whether the donors’ priorities and values align with the vision and mission of the organisation. Judge, M. and Jones S. (eds). 2012. 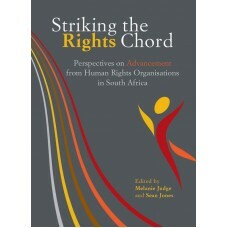 Striking the Rights Chord: Perspectives on Advancement from Human Rights Organisations in South Africa. Cape Town. Inyathelo: The South African Institute for Advancement. Click here to purchase this book at the Inyathelo Online Bookstore.